The 90's were the golden years for flight simulators, because various franchises like Flight Simulator or Ace Combat became very successful, these games allowed us to take control of commercial or combat aircrafts and either enjoy our flight and test our skills when it came to piloting the plane or quiver with excitement during aerial clashes. 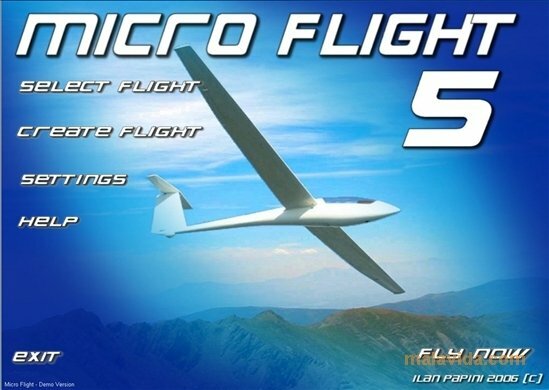 Micro Flight is a simple simulator that will surely cheer up those nostalgic players who miss this kind of games, because they combined piloting all sorts of flying vehicles (planes, helicopters, balloons, hang-gliders,... ) with piloting combat planes in several locations worldwide. As could be expected from this type of title, the controls are rather complex at the beginning, if we aren't used to classic flight simulators and we will need some time to adapt to them and be able to control the game. The graphic aspect isn't spectacular, but at the same time it makes the application compatible with not so modern computers, and assures us that we won't have any hardware problems. If you want to fly around with all kinds of different vehicles, download Micro Flight right now. The demo is limited to a specific plane, and the game will close after 10 flight minutes.